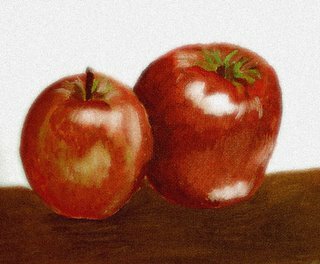 Still life of apples. Oil on Canvas. Linseed oil was used to add texture.